My Quick & Easy Creamy Tomato Soup with Grilled Cheese Croutons will be a perfect lunch or dinner this winter. You can have everything ready and on the table in about 30 minutes time. The cold is really hitting us here in Cincinnati. The temperatures have dropped and the cold is here to stay for a bit. During the cold months, our family likes to have soup and sandwiches for dinner quite often. Soups are the ultimate comfort food. 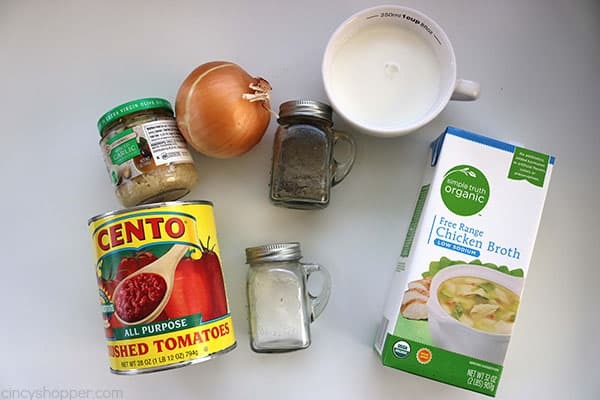 Before I started doing so much cooking at home, we would purchase tons of the different canned soups to keep on hand in our pantry. Now that I like to cook often, I make homemade soups. They are so much better than the store bought versions. My Slow Cooker Vegetable Beef Soup recipe is always a favorite. 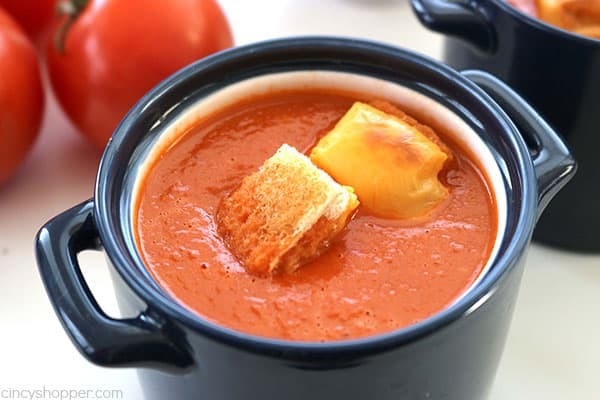 But when the family is looking for a traditional soup, I make our Chicken Noodle Soup or this super Quick and Easy Creamy Tomato Soup. 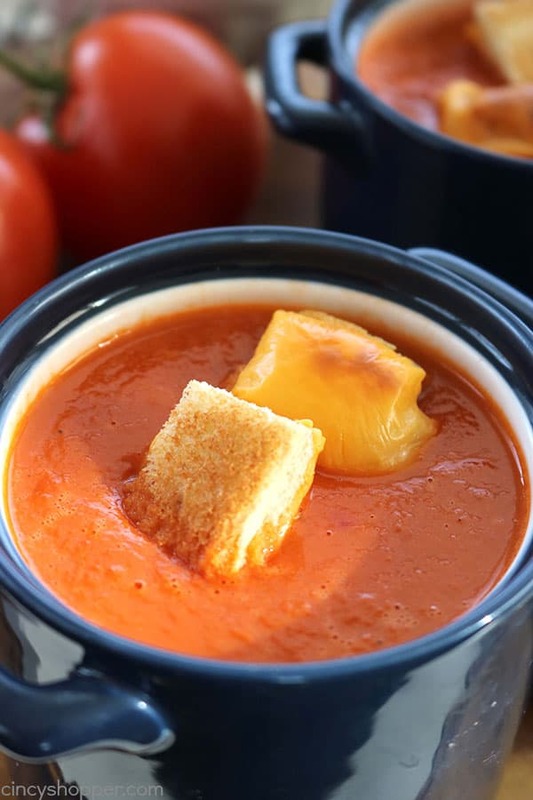 There happens to be nothing better during the cold months than tomato soup and grilled cheese. It always warms me up. Yesterday evening, I needed a quick dinner. 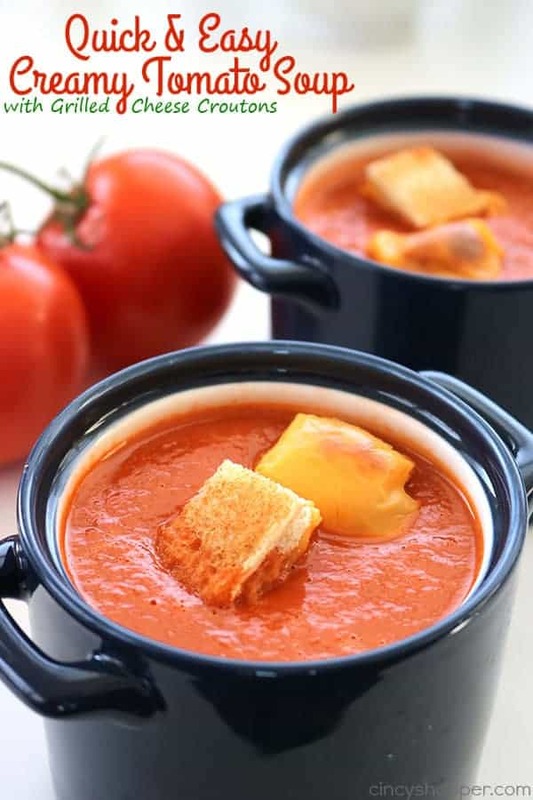 So I made creamy tomato soup with these super simple and tasty grilled cheese croutons. The kids love it when I make these little croutons. 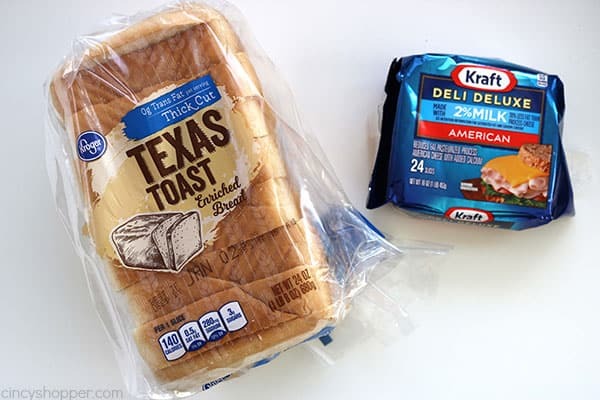 I love to make them because I do not need make sandwiches in small batches on the stove top. So super simple. 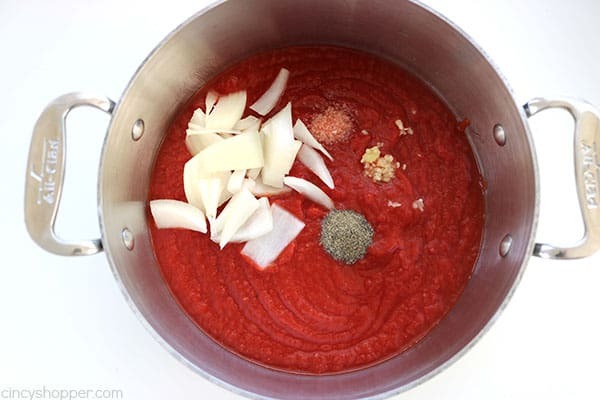 The tomato soup is made right on the stove and has very few ingredients. 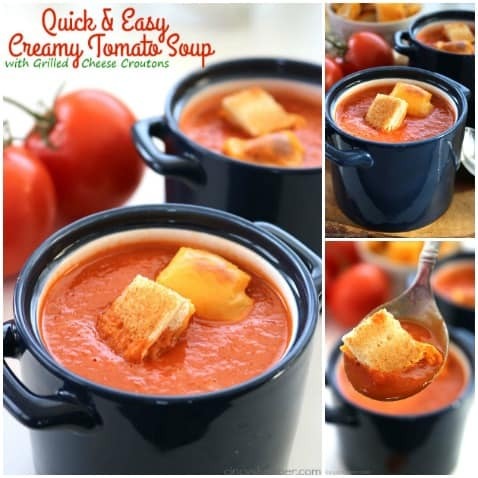 Perfect for throwing together so quickly. The soup is not overly seasoned. If you prefer more salt… add more in. I like to toss fresh basil on top too for a little bit of additional flavor. 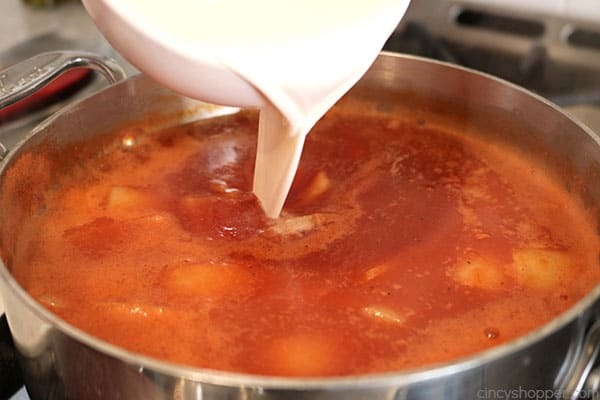 In a large saucepan combine all soup ingredients except milk. Lower heat to medium low and add milk. 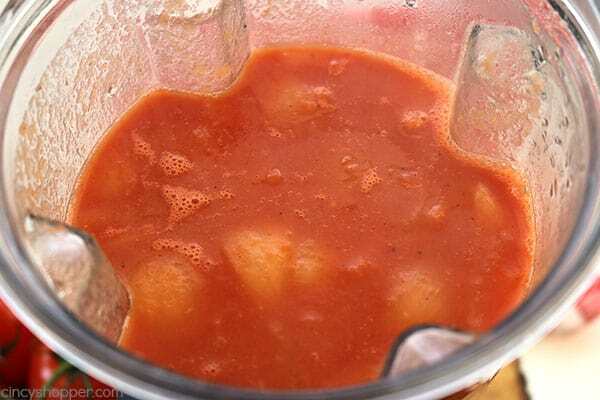 Use an immersion blender or transfer to blender or food processor and blend until smooth. Lightly toast bread in a toaster. Trim crust and cut each into 9 squares. 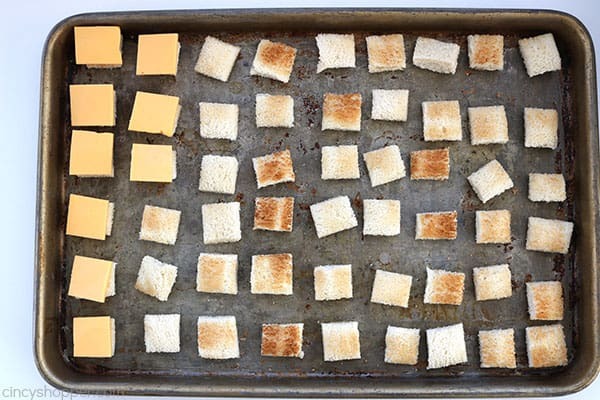 Cut each cheese slice into 9 squares and top each toast square. 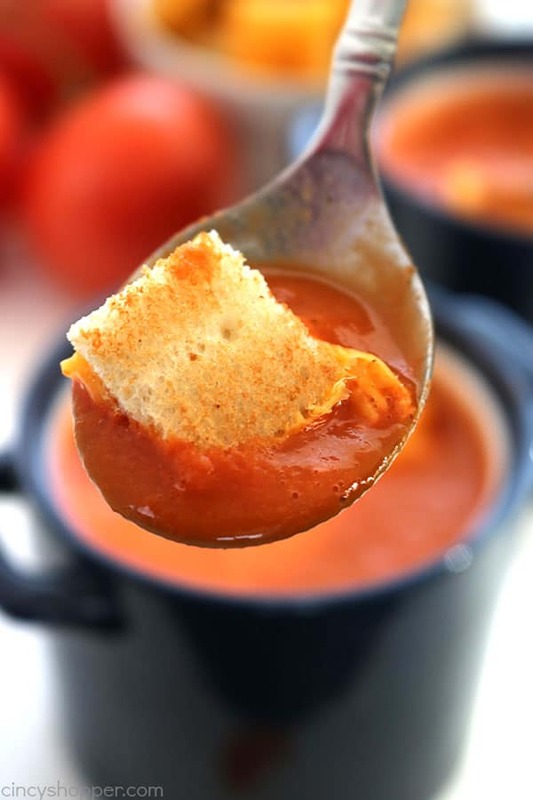 Place Soup in bowls and serve with croutons. 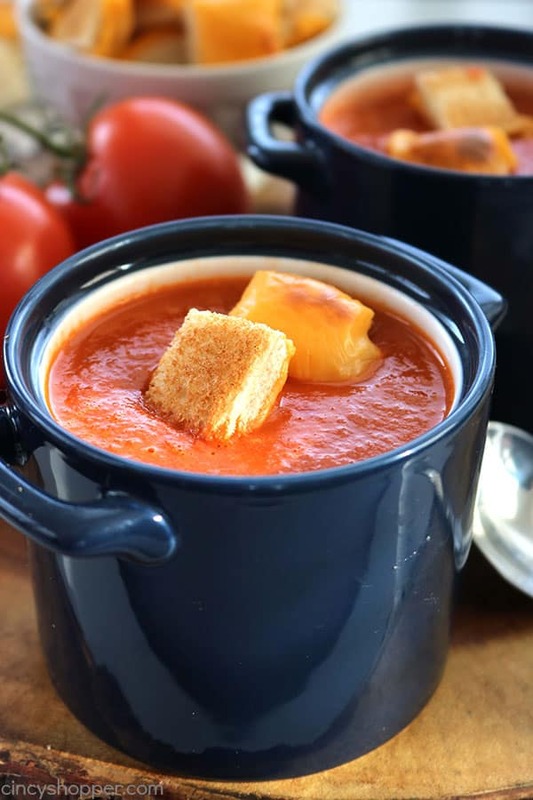 Do you have a favorite cold weather homemade soup recipe that you make often? Place coup in bowls and serve with croutons. Thank you so much for this recipe. 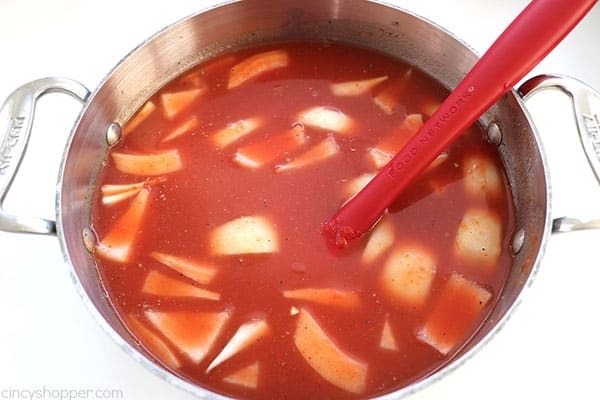 I used to love Campbells Tomato Soup when I was little. Now that it has high fructose corn syrup, yuck. This is quick and delish. This looks like a great bowl of comfort! Stay warm in Ohio! I’d love for you to share over at a new party called Let’s Party https://themarkandjanshow.com/2018/01/02/lets-party-2/… look forward to seeing you there! Thank you for such a nice recipe. I love how easy it is! 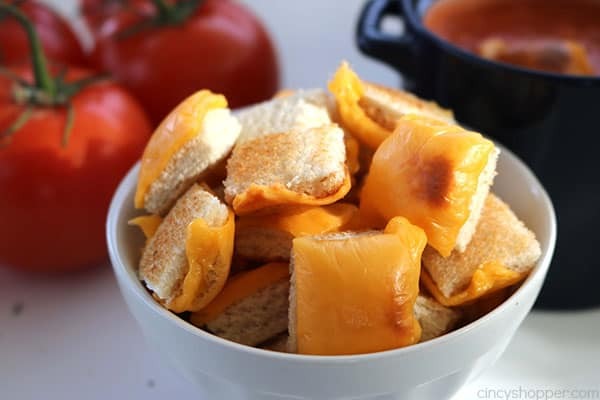 Those Toasted Cheeses look so good. I will have to try it soon! Made this for nine of us for lunch this afternoon but we had a jumbo sausage roll with it the soup is absolutely delicious! Thank you for sharing this lovely recipe especially on a cold snowy day like today in Nth Ireland!